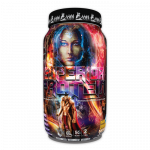 Deal Categories: Fat Burners and Energy.Stores: Muscle and Strength. Buy 1 Primeval Labs Pyretic Black (120 caps) & Get 1 FREE for $39.99 at A1Supplements. Even with $5.95 shipping this is the best price we saw by $40. Deal Categories: Fat Burners and Energy.Stores: Supplement Hunt. 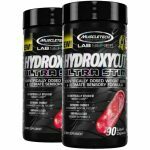 The price for the MuscleTech Hydroxycut Ultra Stim (2 x 180 caps) drops from $39.99 all the way to $16.99 with Supplement Hunt coupon ultrastim180 during checkout. This is the lowest price we’ve seen by $22. BOGO FREE promotion on the Olympus Labs Superior Protein, With this promotion you can grab 2 tubs for $39.99. Add one to your cart – the second one will be added automatically.